This is not a new project. I wrote it way back in 2008 and I’ve shared it with eNews subscribers over the years. 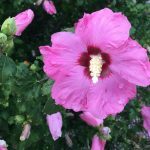 However, it makes sense to share it here and now with all our blog readers. This pattern/project was developed in response to the change in packaging for pocket tissues. As far back as I remember, pocket tissues packaging had a slit in the top, center of the package so you could pull your tissue out one at a time. Somewhere around 2008 (may be different for other regions), the design of that packaging changed so the opening was placed on the long SKINNY side. These covers hold your tissues inside and allow you to access the tissue from the long skinny edge. ©Tracy L. Chapman & Sew Thankful Inc. January 2008. All rights reserved. This pattern/project is being provided for FREE. Use of this project is at will of the user. User assumes all risk. Tracy L. Chapman & Sew Thankful Inc. shall have no liability with respect to loss or damage caused directly or indirectly by the information contained in this project. 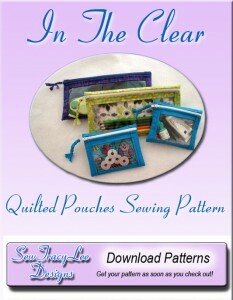 Have you made your In The Clear Quilted Sewing pouch yet? Pattern includes tons of pictures and instructions to make pouches in two great sizes. Tracy’s self-tested TIPS for sewing clear Quilters Vinyl are included. This is a downloadable pattern, so you receive it immediately after you check out of the shopping cart! The SMALL STUFF pouch is perfect for holding small items like flash drives and earbuds. 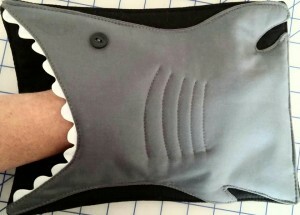 It’s also EXCELLENT making gift pouches. IDEAS: Fill with first aid supplies…ideal for the Mom-on-the go to put in her purse or glove compartment. Make a coffee/tea, creamer & sweetener gift pack. Make a gift pack of small, individually wrapped candies or treats. Use to store small game pieces (i.e., board game pieces) or toys (small balls, jacks, a small collection of legos)…this is excellent for organization AND travel purposes. Store sewing machine feet, hand or machine needles, bobbins, wonder clips, etc. in their own pretty cases…keep your tools and supplies clean, dust free and quickly find them because you can SEE the contents. The MY STUFF quilted pouch is perfect for small to medium size items like pencils, pens, paint brushes, etc. Great gift idea for kids heading back to school – customize the fabric to your kid’s favorite themes or colors. MY STUFF size also makes great organizational and storage pouches for quilters, sewers, artists, and anyone who has small items to organize or store. Enjoy safe storage and travel with your rotary cutter by giving it a home in a pretty MY STUFF pouch. Once you learn the tips and techniques, these are *FAST and EASY* to sew! YES! Tracy gives clear, specific, written permission for the individual home sewer/crafter to make this item for sale and profit. 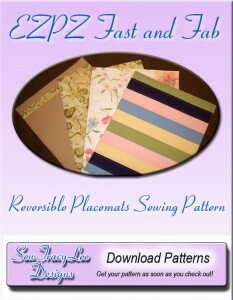 See pattern cover image in the gallery above for the specific details. YOU SAVE on shipping and YOU SAVE on time! Click here for more information about this awesome pattern. Adorable Aunties Two Fabric FlipFlop & Handbag Sewing Patterns — SAVE! !